January’s herb of the month is Bay. While there are several plants that are used as the “bay leaf” spice in cooking I’m going to focus on bay laurel (Laurus nobilis). This type of bay is also known as sweet bay. Laurus nobilis originates from the Mediterranean and can be grown outdoors in warmer climates or indoors as a houseplant in colder ones. Size: Bay Laurel can grow up to 23 ft (7.5m) tall if not pruned. Water Requirements: Bay laurel has moderate water requirements. As with most plants overwatering can cause root damage. Light Requirements: Bay Laurel grows best in full sun to part shade. Temperature Requirements: Bay Laurel can be grown outside in USDA Zones 8 to 11. Nutrient Requirements: Bay Laurel grown in containers can benefit from controlled-release fertilizer or a liquid feed every two weeks from mid-spring through late summer. Pruning: Bay Laurel is well suited to being pruned as a topiary or shrub but they are slow growing and can be slow to recover. Pests and Problems: Bay is susceptible to bay sucker and both soft and horse chestnut scale. Waterlogged roots can cause leaf spots or yellowing of leaves. Yellowing of leaves can also indicate a nutrient deficiency. 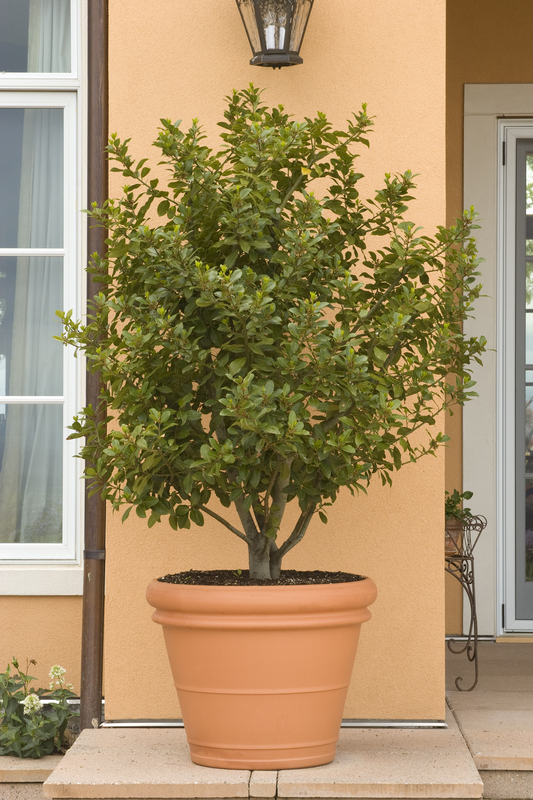 Container Growing: If you want to grow bay laurel as a container plant it is important to use well draining soil. Plants grown in container are also susceptible to freezing when it’s cold outside so make sure to insulate the pot. The Royal Horticultural Society recommends that bay be repotted every two years. 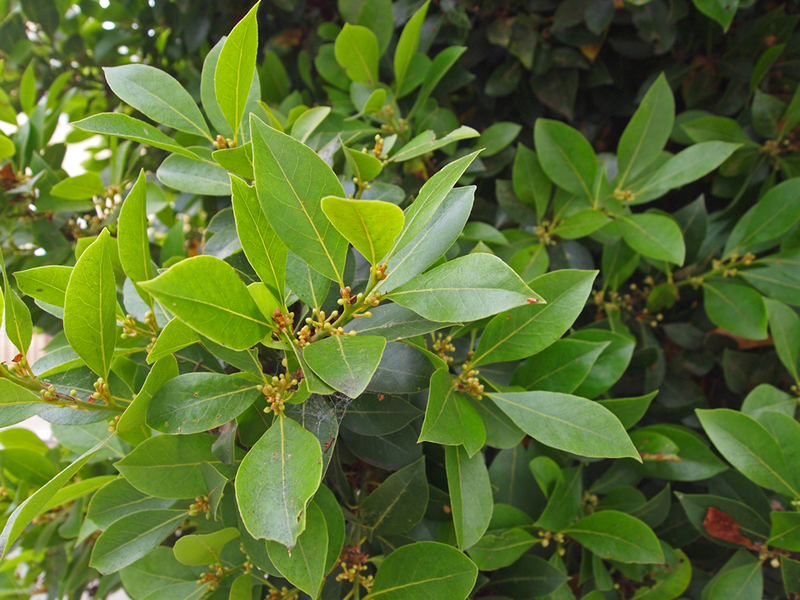 Medicinally Bay Laurel can be taken as a tea to soothe stomaches and relieve gas. The leaves also have diaphoretic properties and can induce vomiting when taken in large quantities. The oil of bay laurel can al be applied externally as an antiseptic and to treat sprains, bruises, and arthritis. In the kitchen, bay leaves are typically used dry as fresh leaves contain bitter tasting compounds that drying removes. Leaves are added to soups and stews to flavor the broth and are removed before eating. Leaves may also be used in pickling, marinades, and baking. Around the home bay leaves are used to make fragrant wreaths and garlands, and to repel insects from the pantry. Bay Leaf Tea– It’s a little unclear what type of bay she uses, but it looks like any variety will work. Fresh Bites Daily has recipes for bay leaf custard drinks and desserts. I can’t try these because of my food allergies, but they look interesting. * I have not had a chance to try any of these recipes yet. If you do try them, let me know how they go!